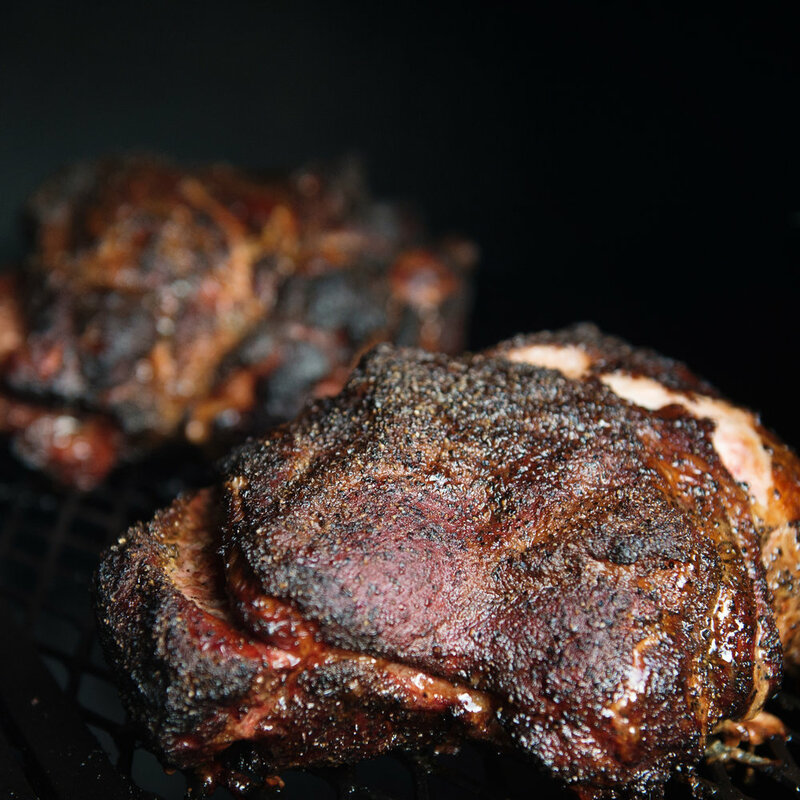 Our award-winning BBQ is smoked using 100% oak wood and our seasoning. This process takes anywhere from 8-14 hours and is a labor of love. We work tirelessly to provide the best product possible so that you taste the love in every bite. Our smokers are made out of decommissioned 1,000 gallon propane tanks, are 21 feet long, and were brought here all the way from Dripping Springs, TX. We'd love to have you come check us out on a Thursday, Friday or Saturday at our restaurant (coming Summer 2018) or call us up for your next catered event! Bobby's All Purpose Seasoning is all natural, low sodium and has no MSG or gluten! It is created using a unique blend of herbs and spices that are guaranteed to awaken your taste buds with an explosion of flavor in every bite! 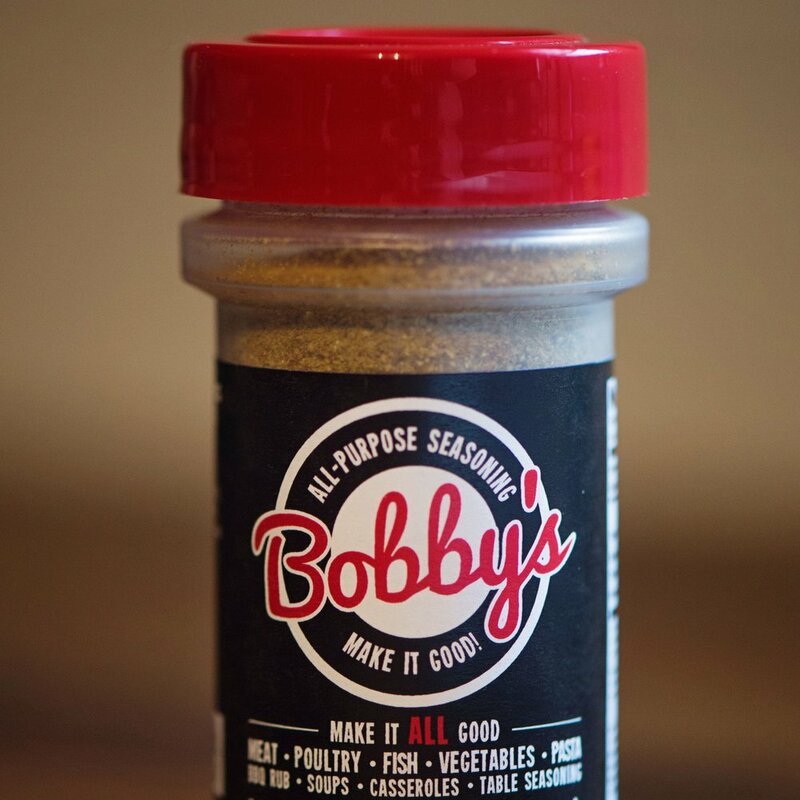 Bobby's All Purpose Seasoning can be use on all meats, vegetables, fish, and even as a table seasoning! In addition to the original Bobby's All Purpose Seasoning, we have expanded our product line to include a Citrus blend and a BBQ Rub. These seasonings are used on our BBQ meats and sides for our restaurant and catering business as well as in our home in practically every meal we cook. 100% wood smoked meats & made from scratch sides - always! love bobby's as much as we do? Head on over to the shop to get your own bottle(s) of seasoning and pick out your favorite shirts & hats to display your Bobby's love proudly! We promise both our seasoning and our merchandise is made out of the finest ingredients and materials!